We made this lens to let fans of King Feature’s Archie share a milkshake with two friends at New York Comic Con. The 2D effect puts the face of the user and those of up to two of their friends in familiar frames – Archie, Betty, and Veronica! By making an “oo” shape with their mouths, the trio can sip down the entire milkshake and be quickly served another! Learn more about different types of effects we can do! 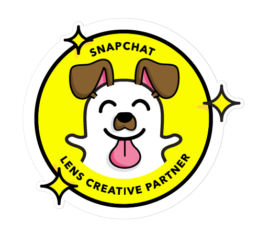 The effect can be unlocked on Snapchat by scanning the snapcode in the video or by clicking below.